This is the Little Red Riding Hood of the ZenFone line up. Not too powerful, not economical, it's the perfect balance (well, that has yet to be seen actually, but it's what I'd imagine). Similar to the Z variant, it's the large size with 90% screen to body ratio. The big difference and what you'd be saving some money here is the processor (and if you get the 4GB RAM model. They haven't said how much that'll save you tho'. But again, to most people there's not a real noticeable difference. It will still have the AI enhanced cameras, same battery (with AI charging) and ZeniMoji. Just waiting to hear what the price saving will be. 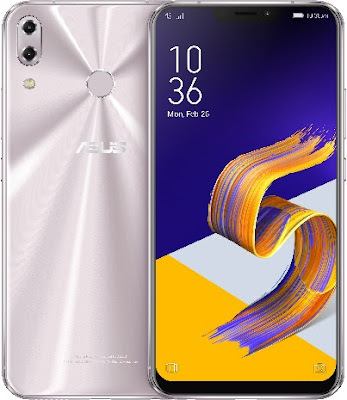 Barcelona, Spain and Fremont, CA (February 27, 2018) — ASUS today announced the all-new ZenFone 5, an exciting next-generation 6.2-inch dual-camera smartphone that's the first ever ZenFone to harness the power of artificial intelligence (AI). The ZenFone 5 invigorates mobile photography, giving users a simpler, smarter way to capture and share every magic moment.